The Vans Warped Tour is closing up shop. Last November, Kevin Lyman—founder of the punk music festival—announced that summer 2018 is the last time that Warped Tour will be traveling across the country, 23 years after its first run in 1995. The lineup for the festival’s final tour was announced on Friday, and—drum roll, please!—oh wow, it is as just heavy on all-male acts as years past, if not more so. There are dudes, dudes galore on this lineup that millions of people will flock to see this summer. Are you surprised? I’m not surprised. 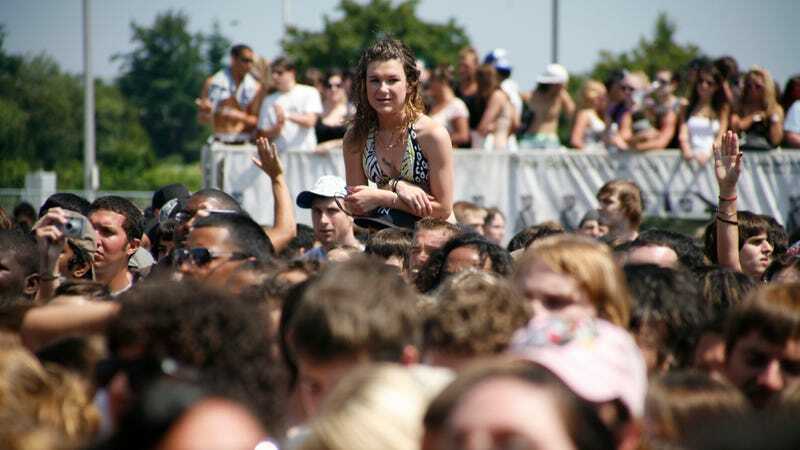 Last year, Lyman chalked up the end of Warped Tour to declining ticket sales and a fiercely competitive music festival landscape, along with the fact that he’s “just tired” from organizing it. But Warped Tour also has a problem with the sexual harassment and abuse of women on the road, and little has ever been done by the organization itself to resolve that. That’s a shame, but the demise of the festival is not.